The Expendables 2 led the way with $15 million, extending its total in China to $40 million so far, compared to its final U.S. gross of $80 million. Expendables 2 will likely wind up earning over 20 percent of its total worldwide theatrical gross in China, which will make it one of the three highest indexing U.S. films in China’s history, after Titanic 3D, at 45 percent, and The Mechanic, at 22 percent. Chinese films have again proven to be weak competitors against Hollywood imports. Since the SARFT blackout ended in late August, Hollywood imports have taken 95 cents out of every dollar spent on tickets by Chinese moviegoers. 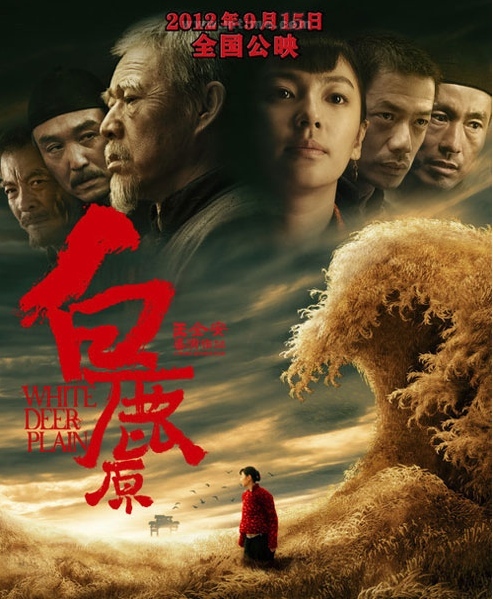 Even the highly anticipated Chinese historical drama White Deer Plain failed to unseat the Hollywood leaders, taking in just $3.6 million in its first two days of release. That film, a controversial 3-hour adaptation of a novel by author Cheng Zhongshi, suffered from poor reviews and confusion over its release, which was delayed by Chinese authorities for “technical reasons.” It should see a bump next week as it expands into China’s second- and third-tier cities, but probably won’t be nearly the hit that its backers had hoped for. In the week ahead the Daniel Radcliffe horror-thriller The Woman in Black will take aim at the chart-topping action blockbusters in its Chinese debut on September 20th. Radcliffe will need to bring along some of his Harry Potter magic if he hopes to dethrone Expendables 2 as the reigning box office champ . This entry was posted in Analysis, Box Office Reports and tagged Chinese box office, Daniel Radcliffe, Expendables 2, Rob Cain, White Deer Plain, Woman in Black by chinafilmbiz. Bookmark the permalink. It is interesting to see the differences of what ‘hits’ at the box office in China… meantime I still am amazed at the high quality of Chinese made or partnered projects streaming on Netflix… film quality, innovative camera usage, music and the acting is so nuanced! Hi Ann, please share your recommendations. Which Netflix projects are you referring to?